Two gubernatorial candidates and the state Republican party say the public should move past Nick Isgro's comments on social media and focus on the work the mayor is doing. 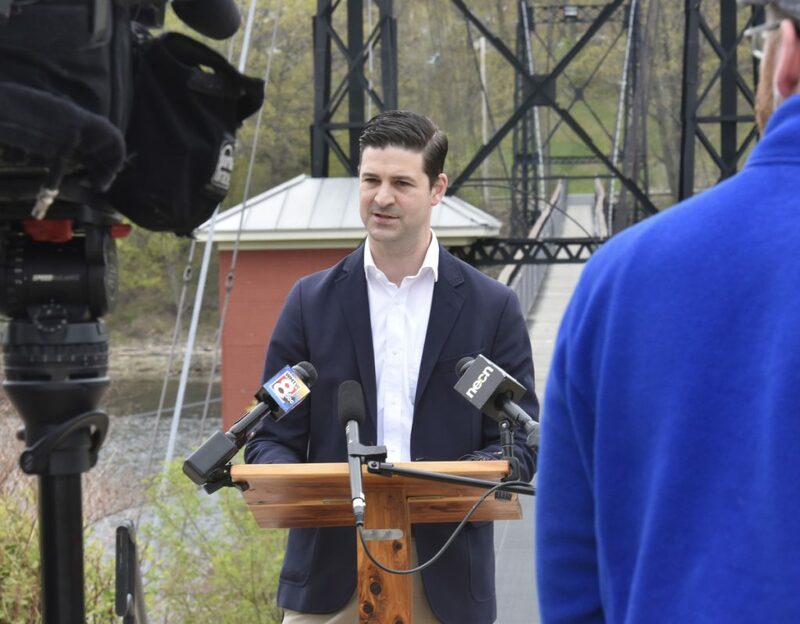 Some Republicans, including two gubernatorial candidates, are standing by embattled Waterville Mayor Nick Isgro, saying the public should move past his comments on social media and focus on the work the mayor is doing. The comment has drawn scrutiny to a litany of comments Isgro has made on social media and was the impetus for a recall election scheduled for June 12. Isgro, who deleted the “Eat it” tweet, has not apologized publicly for the tweet and has refused to comment on it or on other social media posts. On Monday, he came under new scrutiny from city officials, who said the mayor’s statement that the Waterville City Council was working behind residents’ backs to craft a 13 percent tax increase was false. Isgro has declined to comment on the city budget and walked away from reporters asking about the 13 percent increase after a news conference Monday morning. Those involved with the recall have said it’s not about partisan politics, but rather about holding the mayor accountable for what some feel have been communications that aren’t in the best interest of the city. Still, that hasn’t prevented leaders from the two major parties from weighing in, including Gov. Paul LePage, a former Waterville mayor who wrote a letter to Isgro’s employer last month criticizing a decision to dismiss him from his job. Lauren LePage, who is a spokeswoman for Moody’s campaign and also chairwoman of the Waterville Republican Party, did not respond to requests for comment. Moody also did not respond to a message left Monday on his cellphone. Spokesmen for the campaigns of the two other Republican candidates, Rep. Ken Fredette, R-Newport, and Sen. Garrett Mason, R-Lisbon, declined to comment on the situation in Waterville. Meanwhile, Sen. Scott Cyrway, R-Albion, who represents Waterville in the Maine Senate, said he has not seen many of Isgro’s posts on social media but thinks he is qualified and has done a great job watching out for the city budget. Cyrway also said he has heard complaints from Waterville residents about high taxes but has been in discussions with city councilors who have said people want to pay high taxes, though he would not say which councilors. The Democratic party last week criticized Maine Republicans for featuring Isgro at their convention, where he delivered a welcome address. “I’m disappointed but not surprised,” Democratic Party Chairman Phil Bartlett said of the support expressed by Mayhew and Moody in a statement Tuesday. 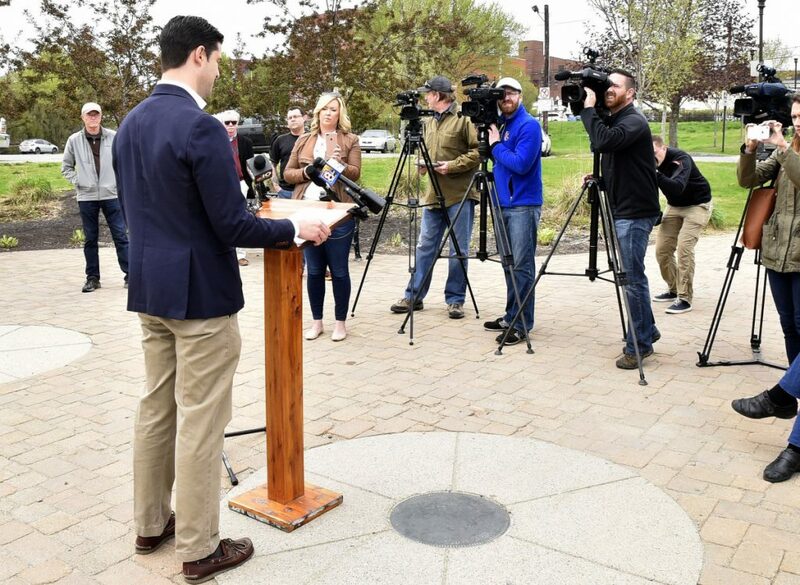 “Most reasonable people agree that Mayor Isgro’s attack on a teenage shooting survivor is inappropriate, but rather than acknowledge that fact and ask the mayor to apologize, Moody and Mayhew think it’s more important to defend him, just like Governor LePage. The race for governor includes 13 candidates — four Republicans, seven Democrats and two independents — heading into the June primary. Some Democratic candidates, including Adam Cote, Donna Dion and Diane Russell, said it is Waterville residents’ right to recall the mayor if they are unhappy with his conduct. Other candidates did not respond to requests for comment sent by phone and email. Russell, a former state representative from Portland, said while the First Amendment protects free speech, that doesn’t mean there aren’t consequences for what one says. The effort to recall Isgro stems from the “Eat it” comment, which came in response to a story that Fox News would continue to back talk show host Laura Ingraham after she made disparaging remarks about student David Hogg, who was calling for stricter gun-control laws and called on sponsors to boycott the conservative commentator. Isgro later deleted the tweet, but screenshots of it traveled far on social media. The liberal advocacy group Maine Peoples’ Alliance also seized on the tweet by bringing to light other social media posts by Isgro that included him defending Roy Moore, who had been accused of child molestation, during the Alabama Senate election last year; rants against public education; and a vulgar reference to anti-sexual harassment legislation. The petition to recall the mayor gathered 887 verified signatures from residents. While he has not commented on his tweets, Isgro has said the recall effort was spearheaded by “the well-connected and wealthy political elites,” who along with the media and “dark money funded outsiders” have sought to roll back the city’s accomplishments.